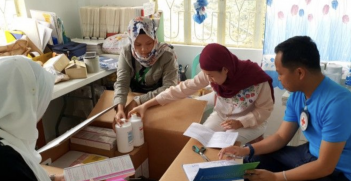 From SARS (severe acute respiratory syndrome) and MERS (Middle East respiratory syndrome) to Ebola and more recently Zika, recent scares were very big wake-up calls on the importance of epidemic preparedness. Where diseases threaten to cross borders or travel across internal regions, the cost of containment and the impact on communities and the economy can destabilise governments. SARS alone cost US$54 billion (AUD $72 billion). The economic impact of Ebola, in just the three countries most impacted, is estimated by the World Bank to have been US$3-4 billion. And those dollar figures don’t begin to capture the suffering and social impact on individuals, families and communities. 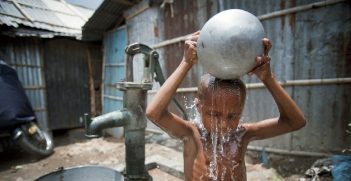 More than 30 new infectious agents have been detected in the last three decades in Asia and the Pacific. Concerns about the ever-present threat of a new and unknown infectious disease of epidemic or pandemic proportion are compounded by the increasing incidence of antimicrobial resistance, which represents a clear threat to regional and global health security and to economies. The Australian Government’s Foreign Policy White Paper recognised health security as a threat to economic and human development and committed to preventing and responding to the introduction and spread of infectious diseases. It is in this context that in October 2017, the government committed AUD $300 million over five years to the Regional Health Security Initiative, to be implemented by the Indo-Pacific Centre for Health Security. In Australia we haven’t had a case of endemic or locally transmitted malaria since the mid-1980s, so most Australians have never experienced or seen anyone with malaria unless they work or travel in malaria-endemic countries. However, despite huge successes since the beginning of this century—with essentially half the world now malaria-free—the burden of malaria in many countries is still unacceptably high. Globally nearly half a million people each year die of malaria. This is an age-old disease that is now, to quote Bill Gates, “preventable, treatable and beatable”. We managed to eliminate malaria in high-income countries and continents: Europe, North America and Australia. If we are seriously committed to the overarching aim of the United Nations Sustainable Development Goals (SDGs) — “no one left behind” —then we have to be serious about eliminating malaria everywhere. 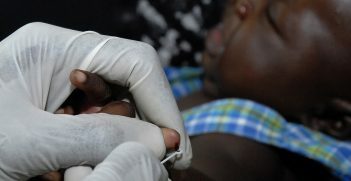 Malaria has a history of rebounding as soon as numbers fall and the pressure is eased. Then, both the mosquitos and the parasites they inject quickly evolve resistance genes. Unfortunately, we now have the spread of multi-drug resistant malaria, including to one of the last-line treatments. This resistance is currently largely concentrated in the Greater Mekong subregion (Cambodia, Lao PDR, Myanmar, Thailand and Vietnam). If this resistant strain spreads to India and Africa, where the burden of malaria is still high, it could wipe out the gains of the last 15 years. The only sure way of ensuring this doesn’t happen is to eliminate malaria in the region. This goal is ambitious but achievable. Spearheaded by Australia, the leaders of 18 countries in the Asia Pacific Leaders Malaria Alliance (APLMA) signed a declaration in 2015 to work to eliminate malaria in this region by 2030. However, we do need to ensure that the awareness and commitment of politicians, resources, health services, and communities are maintained until malaria has been eliminated. 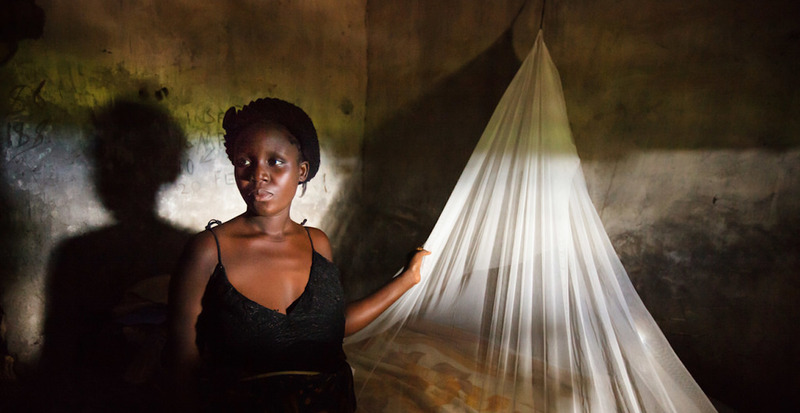 Malaria disproportionately impacts women and children. Maternal mortality is hugely significant not only for the individual women but also because of the implications for their families and communities. To quote one of the mantras of the 2016 Women Deliver conference: “When women survive, families, communities and nations thrive”. One child dying every two minutes in Africa and parts of Asia and the Pacific is not Survival shouldn’t be a lottery about where one happens to be born. Malaria places both a direct and indirect financial burden on households, health systems and communities. It has a significant negative impact on macroeconomic development, causing losses in productivity, education and foreign investments, as well as draining human capital. It undermines sustainable economic development and thus peace and security. On a positive note, global support for malaria elimination by 2030 is building. I attended the recent Malaria Summit in London and was impressed and encouraged by the level of political commitment expressed not only by political leaders but also leaders across the different sectors. We need to make sure that this commitment results in sustained action. However, health is a very complex ecosystem with many sectors, including sectors outside health, contributing to progress on health security including malaria elimination. Therefore, multi-sectoral partnerships between politicians, policymakers, the private sector, civil society, research institutes and academia are absolutely essential. Unfortunately, while there is a lot of rhetoric about the importance of collaboration and partnerships, at the end of the day we all find it easier to work in our own little area of expertise and comfort zone. It is for this reason that a group of people from across the health development sector decided to convene the first Malaria World Congress in Melbourne in July 2018. This conference aims to break down those silos and promote synergies across the sectors, to create strengthened cooperation, innovation and action towards achieving the target of malaria elimination by 2030. Helen Evans AO FAIIA is an Associate Professor (Hon) at the Nossal Institute for Global Health, University of Melbourne and a member of the Technical Reference Group for the Region Health Security Initiative. She was previously Deputy Executive Director at The Global Fund to Fight AIDS, Tuberculosis and Malaria. In 2017 she was recognised as a Fellow of the AIIA. World Toilet Day has once again passed with all the pomp and ceremony that its name would suggest. But in the face of serious health and development consequences, it is time for world leaders to do some bathroom reading.